Sadly, I'm on a Mac. Is there a demo video I can check out? It's a similar concept but you control attraction and repulsion of the planets around your craft. Very enjoyable. 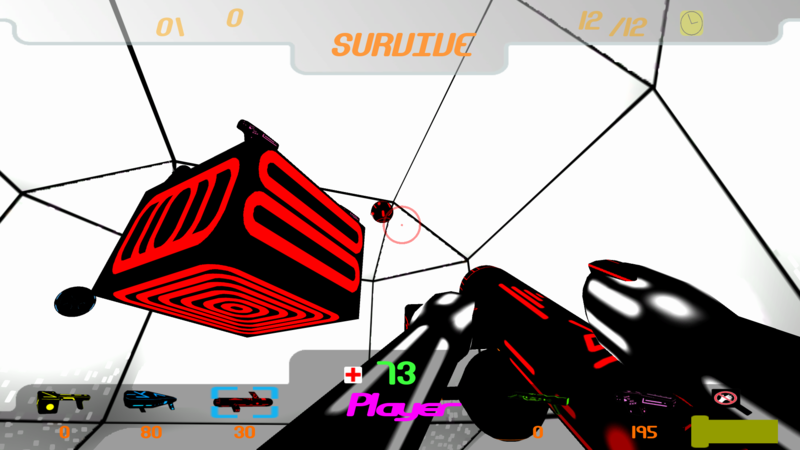 Did you ever play Orbient on WiiWare? An absolutely fantastic experience. One (very) minor issue: if the mouse is moved quickly the view tries to rotate in the opposite direction to catch up. Otherwise, excellent experience and will definitely play again. Hi there, looks interesting but maybe let people know it's a Windows only download. ;-) On that note, any chance of a Mac build? Sure. I was thinking of a space sim/space combat game where the player could select the next star system to go to and that would begin the Neon Skylines area. 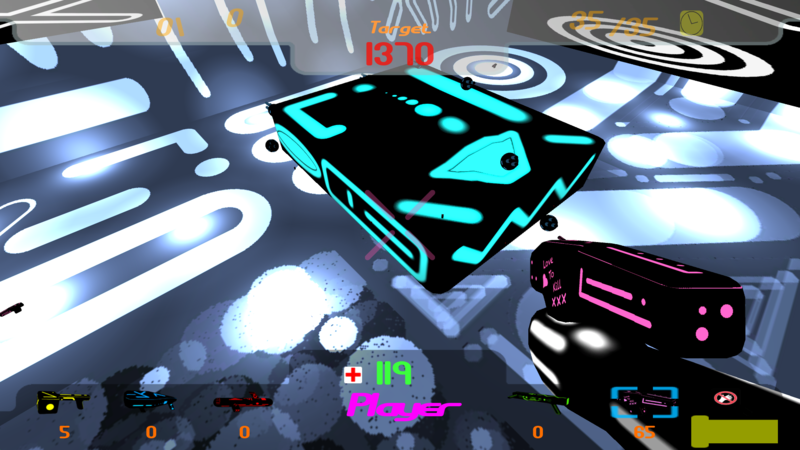 The closer/further the player wants to travel in 'real' space, the longer they spend in hyperspace. The exit of hyperspace could be 'X' distance from where the player begins in a certain direction (so travel northwest and 20 degrees 'up' for 400 metres) and the player has a count down (or up if they start going the wrong way) until they exit where they want to be. It could simply be a randomly located marker/portal and the player follows an arrow that only shows the direction the exit is in, not the lefts and rights of how to get there. Maybe a penalty for hitting the wall or simply boot them back their starting system? Or even boot them out to some random star system, but that's a huge undertaking. 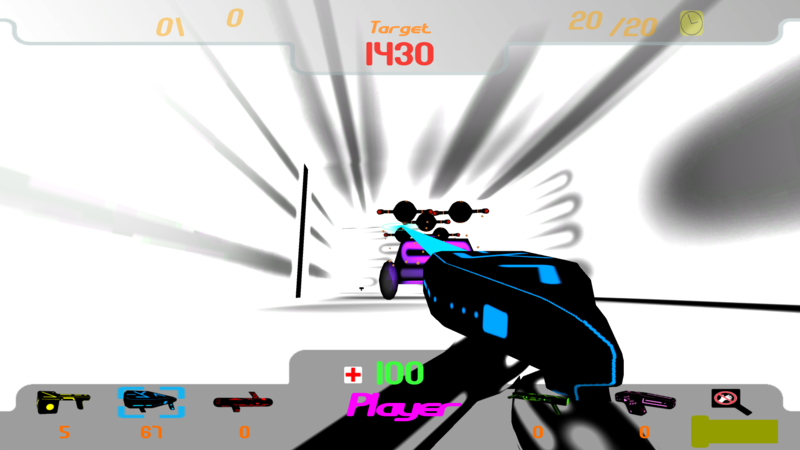 Rush mode pits you against 8 progressively harder tanks. Beating them all unlocks a new challenge mode, where all the targets must be defeated without dying, using a special weapon - The Auger. 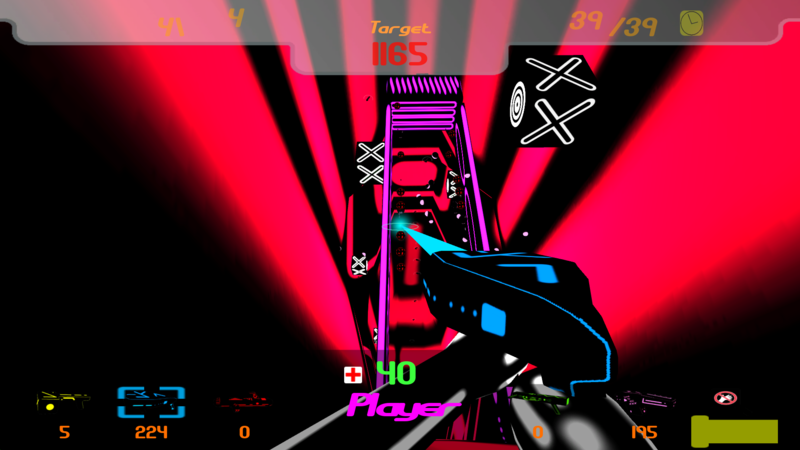 High scores are uploaded whenever you die in Survival mode or The Auger challenge and at the end of each level in Rush mode. This was a hobby project I set myself to produce a complete game (rather than the 'proof of concept'/demos I'd been making). Qu'est-ce que le bouton mutate fait? Simple and intuitive. I'm going to twiddle around with this some more and will definitely be keen to see what's in future updates. How many generations is a good time to wait? Does the length of each generation effect the results? Interesting game. Very much in the vein of the bit-trip series. I just wish the obstacles were visible in game rather than just the map. Otherwise, pretty cool. Are you going to expand it at all? Very keen to see how this title develops. Actually, can I ask how you got the clear but pixelated effect on your textures? It's a great look. Great game and looking forward to playing more of it when I get time. This is definitely a noob question, but I wanted to try Exodemon before donating; how do I make a donation now that I've downloaded it?